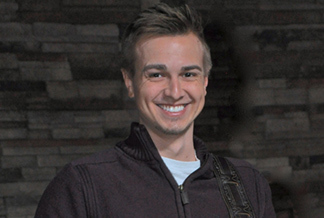 Bradley came from his hometown of Myrtle Beach, SC to join our staff in 2016 as our Contemporary Worship Leader. He also leads our children and youth music programs and works very closely with all of our 9:27 volunteers and college ministry. Bradley graduated from Coastal Carolina University and is currently working on his Masters of Divinity at Wake Forest University School of Divinity. Bradley enjoys studying the written word, running, playing music, and anything that allows him to stay active mentally and physically. His hero is Tom Brady, “the greatest quarterback of all time”. Bradley says what he loves his job because he gets to work with our awesome volunteers to discover new ways that we can express God’s love.